The targeting of tumor angiogenesis has evolved into one of the most widely pursued therapeutic strategies. However, as of yet, no antiangiogenic agent used as a monotherapy has demonstrated a survival benefit in a randomized Phase III trial. The combination of bevacizumab, the first FDA approved angiogenesis inhibitor, with cytotoxic regimens has led to survival benefits in cancer patients. This has raised important questions about the complexities inherent in the clinical application of angiogenesis inhibitors. Integrating fundamental concepts with therapeutic strategies, Anti-Angiogenic Cancer Therapy promotes the idea that an understanding of the molecular and cellular regulation of angiogenesis leads to optimal therapeutic strategies and positive clinical results. It brings together contributions from leading researchers to provide the most authoritative and encyclopedic volume available on this subject. 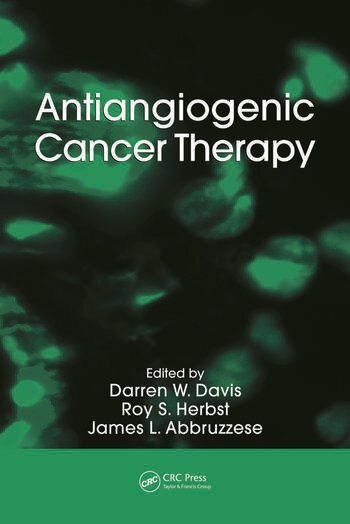 Examines the role of angiogenesis in cancer, including strategies to prolong the nonangiogenic dormant state of human tumors, molecular mechanisms and cellular regulation of angiogenesis in solid tumors and hematologic malignancies, and the regulation of angiogenesis by the tumor microenvironment. Covers specific molecular targets for inhibiting angiogenesis in cancer therapy. Discusses clinical trial design and translational research approaches essential for identifying and developing effective angiogenesis inhibitors. Outlines current understanding of the molecular biology of each cancer type followed by discussions that examine strategies for targeting angiogenesis in specific cancers. 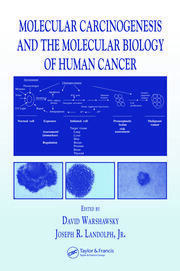 This volume celebrates progress made in four decades, and more importantly, it provides a clear indication of the complex biology that needs further investigation to realize the possibilities envisioned for this beneficial therapeutic modality. Antiangiogenic Therapy for Breast Cancer; Pablo M. Bedano, Brian P. Schneider, Kathy D. Miller, and George W. Sledge Jr.
"… a timely and worthwhile study of the complexities of the clinical application of angiogenesis inhibitors. 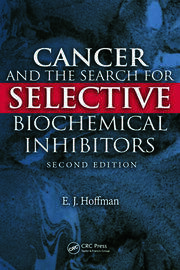 … the most comprehensive of its kind, is nicely tempered in its assessments of both the triumphs of antiangiogenic tumor therapy and the gaps in knowledge that impede further successful treatments. The editors and contributors of this book … are leaders in the field. The topics covered … are well chosen and present the reader with balanced discussions … . 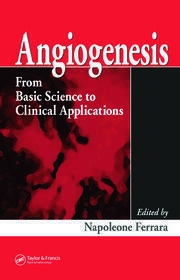 This authoritative book should be required reading for anyone interested in tumor angiogenesis." "It brings together contributions from leading researchers to provide the most authoritative and encyclopedic volume available on this subject."